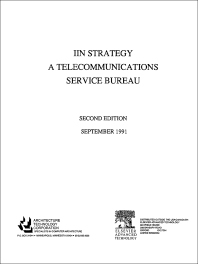 This report covers the concept, status, and implementation of the IBM Information Network, IIN, IBM appears to be developing a service bureau for telecommunication systems. This service bureau will provide multinational EDI services, as well as other specialized telecommunication services. Introduction. What is EDI? Network services from the IBM Information Network. Network services connects existing network. Network services simplifies networking. Remote computing services. Case study – pioneer electronics. The IIN services. Main services of the IBM – NMS. IBM intercontinental information services. Access services from these countries. The EDI approach from IBM. Support for EDI standards. EDI support for SNA hosts and IBM personal computers. EDI: changing the way computers do business. Streamlining strategies for buyers. Strategies for sellers. EDI services. Put the information network to work. What can I send with IE? What is EDI? What features does IE offer? What are the benefits of IE? How does IE work? How do I connect to the information network? Remote computing services. Information services. Network connectivity software and services. EDI services announcement. IBM expEDIte/integrated series. Information exchange its capabilities and potential. How information exchange works. Support for SNA host and IBM personal computers. EDI support for data standards. Data reformatting. Value added features. IBM expEDIte and services for EDI and electronic mail. The IBM expEDIte/integrated series. IBM expEDIte/36 &/PC screenmail. Leverage your connection to the IBM information network. Access multiple data bases. Copy information to PC files. Vendors.